As a customer of Beachbody, you were likely assigned a random Team Beachbody Coach. You may or may not have a rapport with your coach or maybe they are simply not a good fit for you. Some Beachbody Coaches are involved in the business for the 25% discount and may not be of help to you. 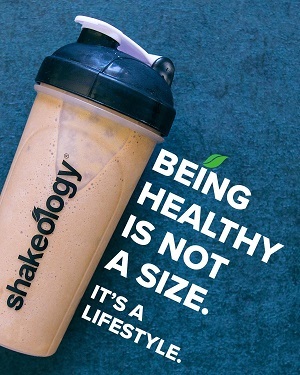 Whatever your reason, as a customer, you can change your Beachbody Coach at any time. 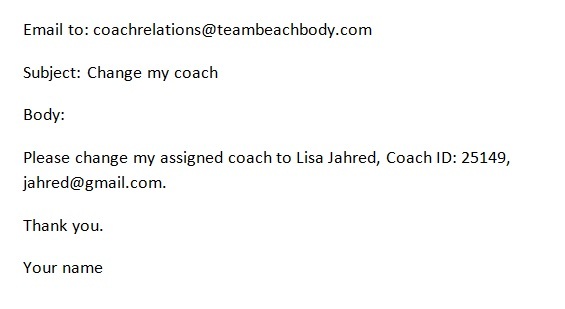 Send an email to coachrelations@teambeachbody.com. Send the email from the same address that you use to log into TeamBeachbody.com. Include the new coach name, ID and email address to ensure the request is processed correctly. Within 2 business days, you will be assigned your new Coach! If you are a new coach and want to change your sponsoring coach, you may do so within the first three (3) business days after enrolling as a coach. Send an email to coachrecords@teambeachbody.com. You must send the email from the same address you used to enroll as a coach. If more than three business days have passed since you enrolled as Coach, you cannot switch your sponsor. If you are a customer and want to enroll as a Coach, you can choose to be enrolled under your assigned Beachbody Coach or choose a new one. In the New Coach online enrollment process (Team Beachbody > Coach > Be a Coach) just be sure to provide the requested Sponsor’s TBB screen name, email address, or Coach ID Number when the applicant reaches the ‘Did a Coach Refer You’ section on the online application. Select Coach I.D. from the drop-down menu. Type the Coach I.D. of the coach you want as your sponsor. My ID is 25149. Click Confirm Your Coach. The Coach name will appear (as seen in the image in green). If you have questions about changing your coach as a customer or new coach, please reach out and click here to contact me.